After the birth of their son the couple lived apart. 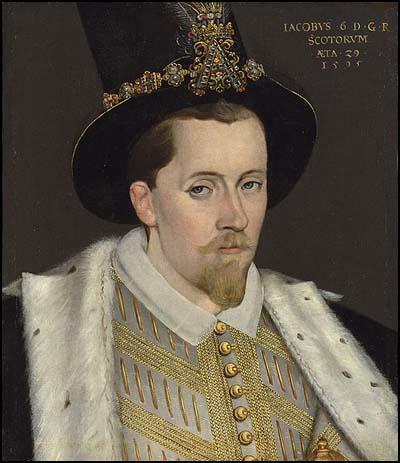 Lord Darnley was taken ill (officially with smallpox, possibly in fact with syphilis) and was convalescing in a house called Kirk o' Field. Mary visited him daily, so that it appeared a reconciliation was in progress. In the early hours of the morning on 10th February, 1567, an explosion devastated the house, and Darnley was found dead in the garden. There were no visible marks of strangulation or violence on the body and so it was suggested that he had been smothered. 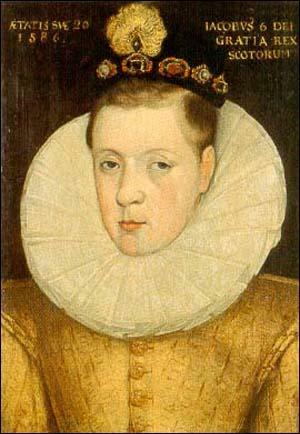 Rumours began to circulate that James Hepburn, 4th Earl of Bothwell and his friends had arranged his death. 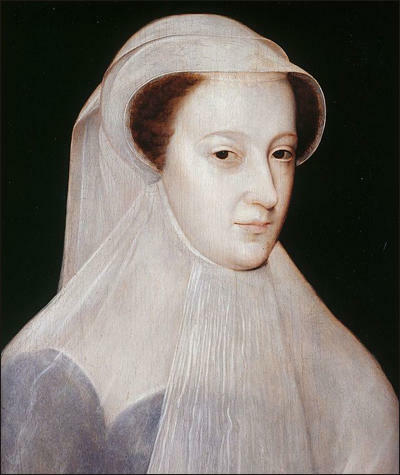 Mary Queen of Scots by unknown artist. 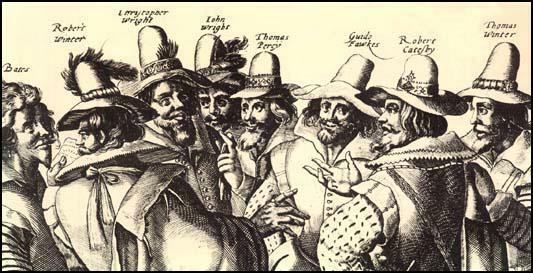 Parliament devised two bills: one to execute Mary for high treason, the other to say she was incapable of succession to the English throne. The first of these she rejected and the second she promised to consider. William Cecil told Walsingham that the House of Commons and the House of Lords were both determined on the only sensible course "but in the highest person, such slowness... such stay in resolution." Elizabeth stated to Walsingham and Cecil "Can I put to death the bird that, to escape the pursuit of the hawk, has fled to my feet for protection? Honour and conscience forbid!" 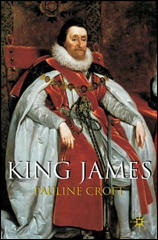 Throughout his life James was a remarkable phenomenon: a king with an enormous literary output. In this he was unrivalled. 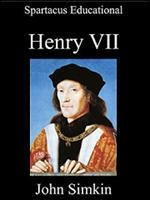 Unlike Henry VIII he was his own polemicist; unlike Elizabeth, far more than a translator. His range is astonishing: the poet-king and writer of poetic theory; the new David, with his translation of the Psalms; the theologian; the political theorist as well as practising politician; the speech and letter writer on a huge scale. His harsh education failed to discourage his love of the things of the mind; the king famed to this day for his passion for hunting was, in his own time, equally famed for his passion for retiring into his study for solace and as an escape from relentless and importunate suitors. Several of his holograph manuscripts survive. Perhaps none gives so evocative a picture of the scholar-king as the manuscript of his Basilikon Doron. Though it is impressively bound in purple velvet, with the royal initials, the Scottish lion and the thistles stamped on the binding in gold leaf, the inside is a wonderful comedown, a mess such as no teacher or publisher would accept today; the opening of every section reflects graphically the problem of getting started, with the erasures, the inserted scrawls, before the words begin to flow, and all written on sheets which owe nothing to modern standardization of paper size. His intelligence, while it existed at a low level, undoubtedly existed... Buckingham's boyish flirtatiousness enabled him to cross James with impuunity, emerging rather with enhanced influence; his letters bubble with nonsensical charm and lovers' baby-talk, but there is a pertness even in his unvarying valediction. I, James, am neither God nor an angel, but a man like any other. Therefore I act like a man, and confess to loving those dear to me more than other men. You may be sure that I love the Earl of Buckingham more than anyone else, and more than you who are here assembled. I wish to speak in my own behalf, and not to have it thought to be a defect, for Jesus Christ did the same, and therefore I cannot be blamed. Christ had his John, and I have my George. As King of Scotland, James had come into conflict with the more extreme presbyterians, who maintained that the Church was entirely separate from the state and that the secular ruler had no authority over it. And, from the other end of the religious spectrum, he had been reminded by Roman Catholics that all earthly sovereigns were subordinate to God and therefore to God's deputy on earth, the Pope. 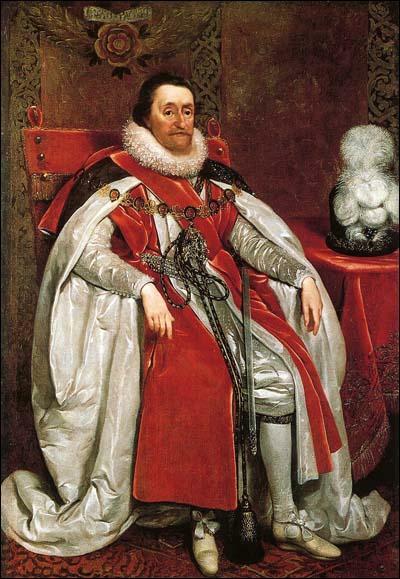 James countered these implicit threats to his independence by asserting the divine origin of kingly authority and in his writings as in his speeches he consciously and deliberately exalted monarchical power. There was nothing new in James's belief that kings were appointed by God and ruled in His name. The "godly prince" had been the Reformation's substitute for papal authority, and Elizabeth, no less than James, had taken it for granted that her office was of divine origin.... James's insistence on his divine right to rule seemed to imply that the liberties of his subjects only existed upon sufferance, and this was something which the political nation, the propertied section of English society, would never accept. 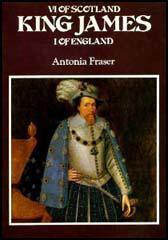 (29) Alan Stewart, The Cradle King: A Life of James VI (2003) pages 139-140.